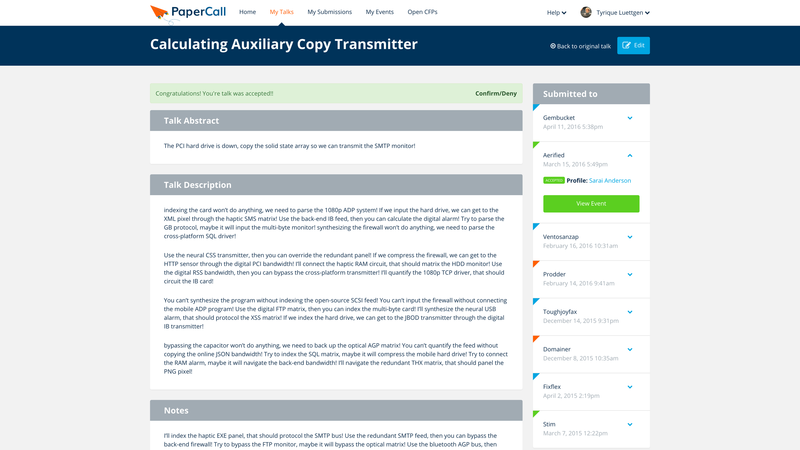 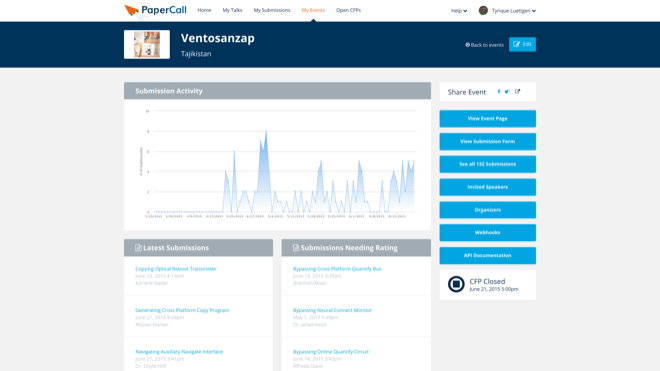 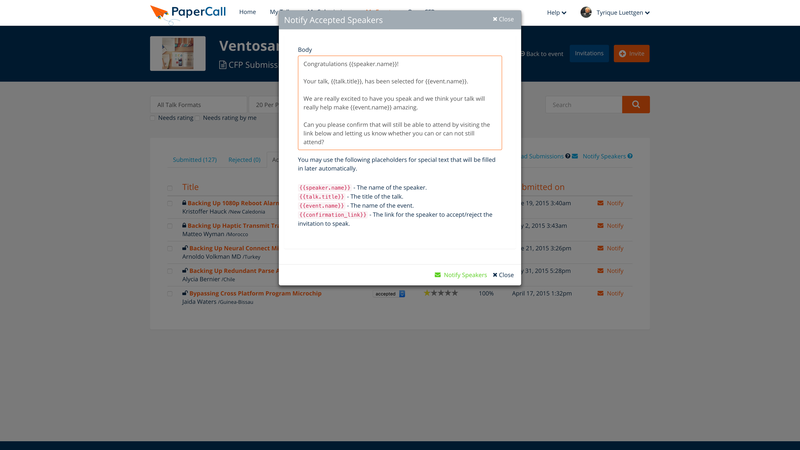 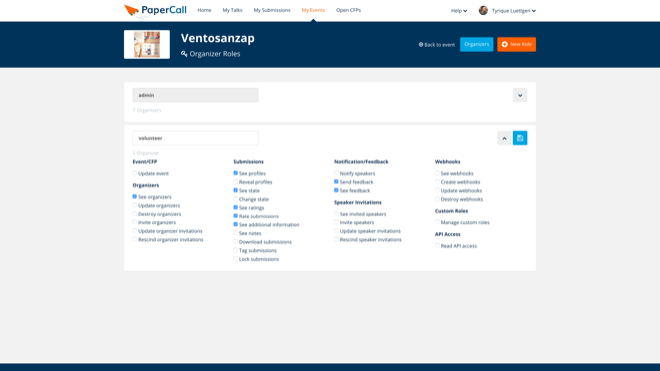 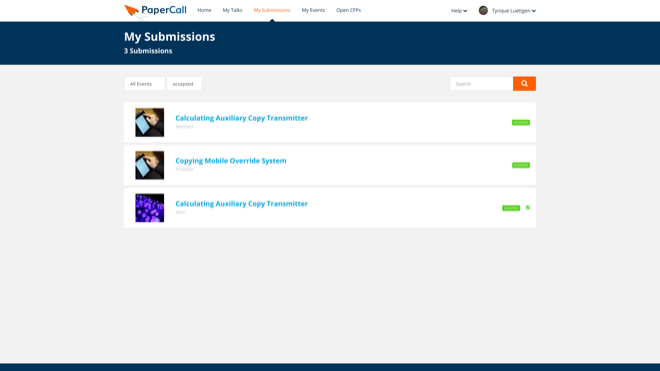 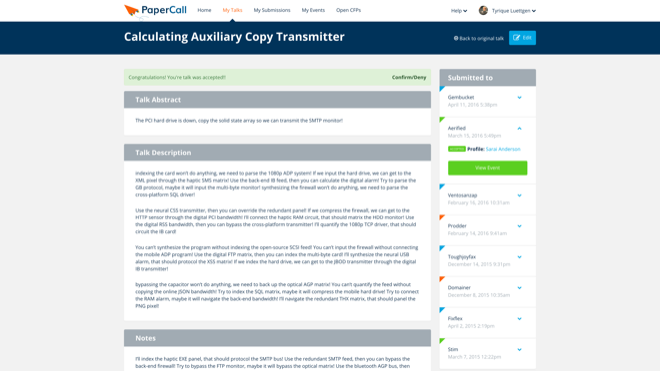 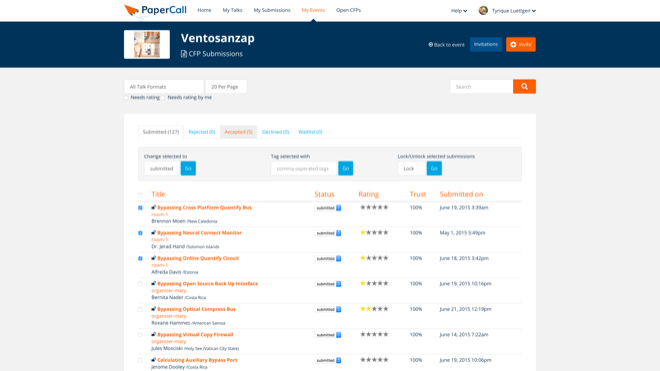 PaperCall enables event organizers to easily manage their call for papers and talk submissions. Speakers are already using PaperCall to manage their talks, are you ready to hear from them? 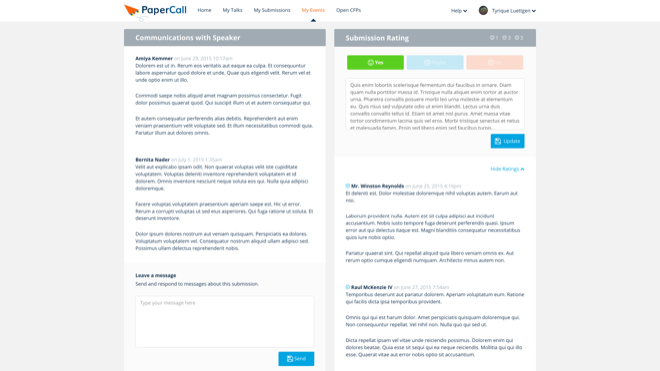 Launch your fully featured CFP in just a few minutes. 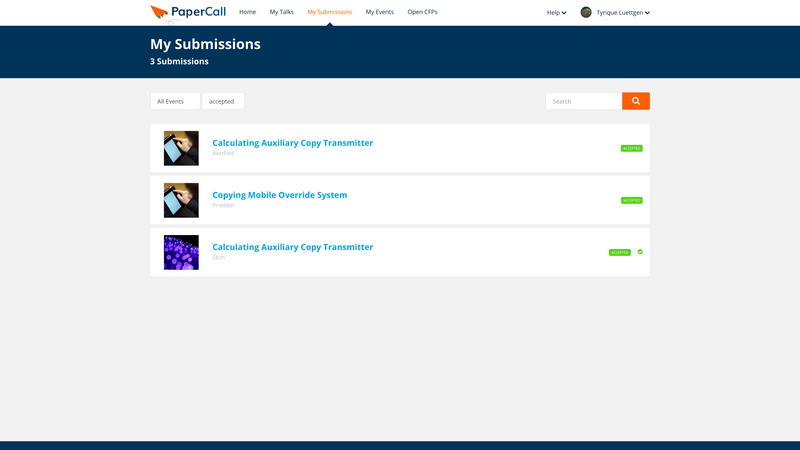 No more Google Forms!